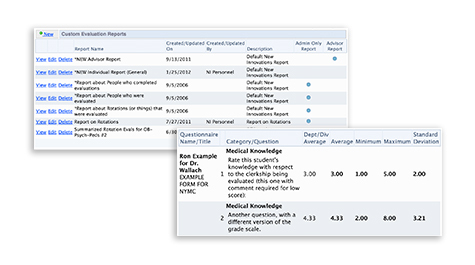 In Undergraduate Medical Education the management of your student data is a vital part of providing quality education. 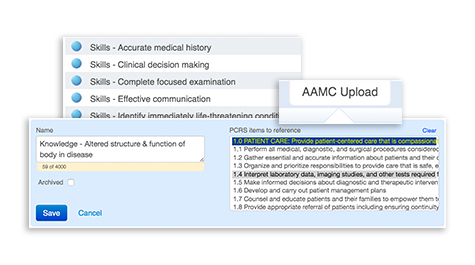 Share important information that simplifies and assists in documenting each step of the medical education process and inform your students of key events and tasks to be completed. Twenty percent of all undergraduate institutions trust our Undergraduate Management Suite to allow them to focus on the health of their schools so that educators and students can focus on learning. 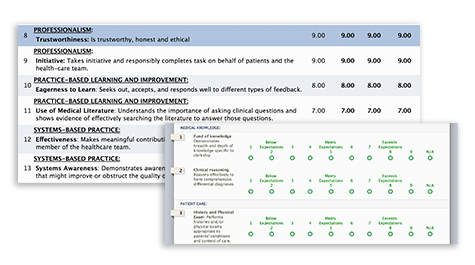 "...We also utilize the software to receive student evaluations electronically from preceptors, distribute shelf exam scores, track our credentialed faculty, and electronically maintain our student credentialing files and hospital affiliation agreements. 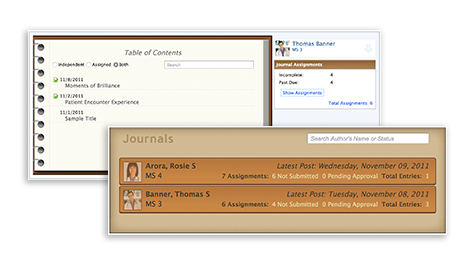 Aside from the many features New Innovations provides, the most impressive feature is their client support. We have never had a question go unanswered!" With New Innovations, you have a methodical way to define objectives throughout the different stages of your MD or DO program. 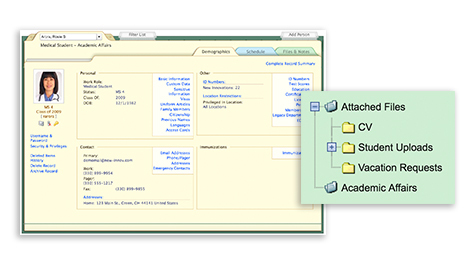 Quickly and efficiently map the outline of what skills and knowledge your students should possess upon graduation. 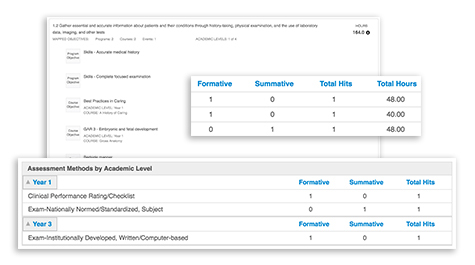 Gather and compile data on the quality of teaching as well as student performance. 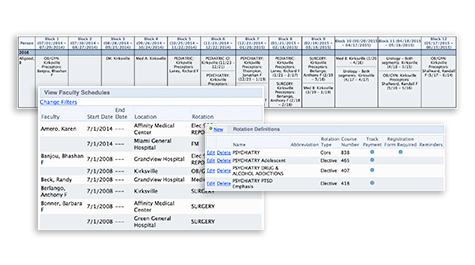 Ensure anonymity with a variety of settings, automatically generate evaluations based on the clinical schedule and distribute reminders for availability and delinquency. 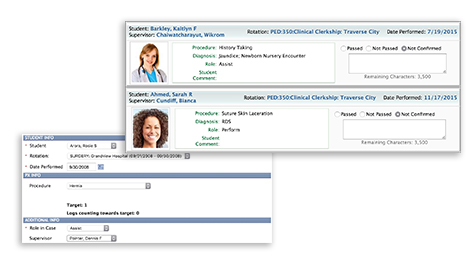 Customize student clinical documentation according to instructional needs. 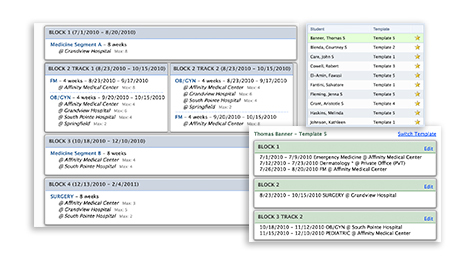 Case log forms can be customized by clerkship to only display relevant fields, student rotation requirements can be set, and student progress can be seen with an easy-to-view report. 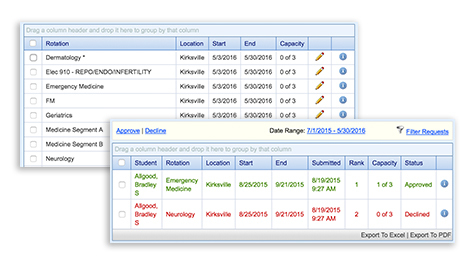 Generate paperless personnel records that help to automate student data collection having to do with past education, test stores, and expiring immunizations. Use New Innovations to identify missing immunizations and those that are nearing expiration. 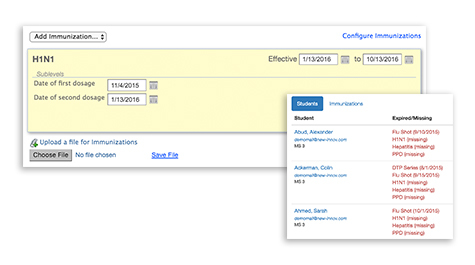 Automate your process by sending out instantaneous notifications to individuals who have immunizations that are approaching expiration.